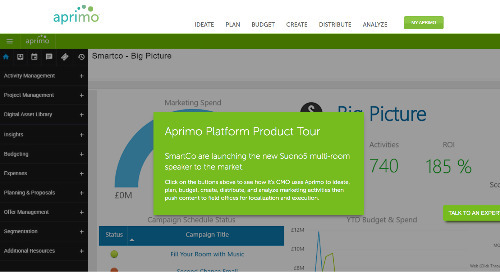 Click on the buttons above to see how it's CMO uses Aprimo to ideate, plan, budget, create, distribute, and analyze marketing activities then push content to field offices for localization. 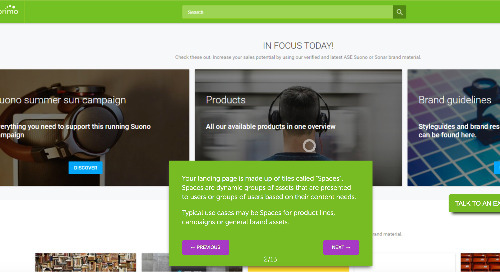 Let us show you how your marketing team can execute a partner-customized campaign and measure the performance of your entire community from a single place. 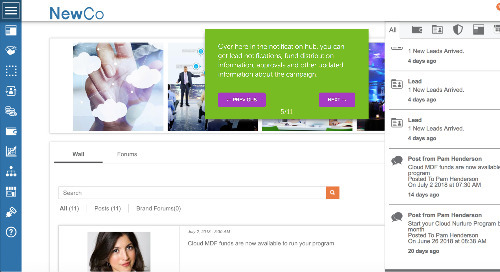 When you first log-in to the application, your everyday user is greeted with a clean interface that is designed to help them quickly find the content or information.